It’s unusually cold in coastal California—a chilly 50 degrees Fahrenheit in our little valley with frost blanketing the landscape at night. The horses wintering over in our pasture have grown sturdy winter coats, their collective breath rising like steam from a boiling pot. We’re bundled up and filled with joy as we prepare to spend the first Christmas in with our family since we moved to Italy. 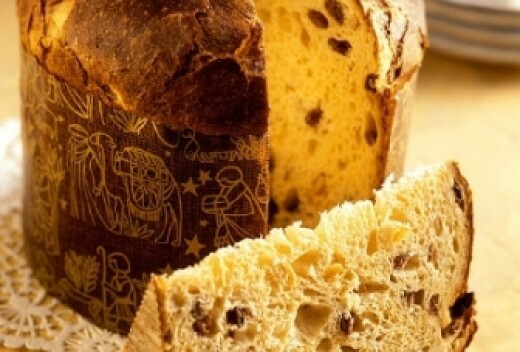 Ubiquitous during the Christmas season in Italy, Panettone is the obligatory hostess gift. Now that we’re back in the California swing of things, we’re newly aware that there are so many ways to celebrate the holiday season in the U.S. In Martina Franca, our Southern Italian home-away-from-home, Christmas isn’t Christmas without pasta al forno, roasted veal shank, panettone and lots of family. Roasted chestnuts and hot mulled wine are sold in the street, fancy chocolates with even fancier packaging are gifted and marathon bouts of multi-generational tombola (Italian bingo) are hosted at dinner tables everywhere. 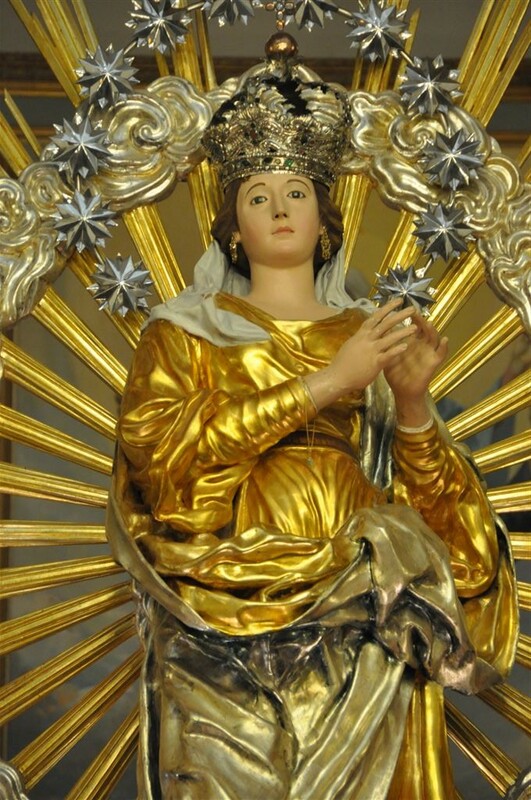 Italian cultural hegemony is especially pronounced at Christmas—from l’Immacolata (the immaculate conception of the Virgin Mary) to l’Epifania (the visit of the Three Kings to the baby Jesus) penetrating all aspects of life. For many Californians, Christmas isn’t Christmas without Dungeness crab, even in years like this one when the local catch has been devastated by algae bloom in unseasonably warm ocean waters. 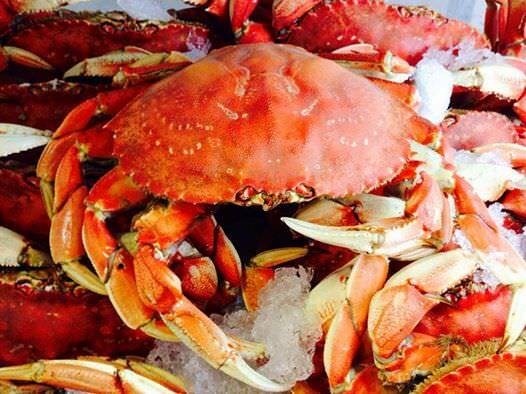 In California, Christmas isn’t Christmas without tamales for some, baked ham for others or here in California, messy piles of delectable Dungeness crab. And many don’t celebrate Christmas at all, delighting instead in the eight days of Hanukkah, Eid E Milad or Kwanzaa. The diversity is staggering, particularly after the predictable pattern of life in our little Italian town. Americans are as likely to celebrate Christmas Day at their favorite Chinese restaurant with a big bowl of hot and sour soup before a matinee as we would be tucking into a groaning table of food in Italy with second cousins twice-removed in Italy. An Italian American tradition that appears to have been inspired by Southern Italian meatless Christmas Eve feasts, the Seven or Thirteen Fish Dinner lives on in Italian American families across the country (photo credit: http://www.italoamericano.org). Just a sampling of what’s on offer at Pesce Adriatica around the corner from our house in Martina Franca. Numerology aside, a meatless Christmas Eve is ubiquitous in Southern Italy and seafood is always in good taste, judging by the mayhem at fish markets everywhere on December 24th. I’ve been elbowed by more grannies than I can count while trying to catch the eye of our fish seller, Pasquale, amidst the throng. Only after that first Christmas Eve experience did I learn that the fix was already in. Every self-respecting Martina Franca resident had already sewn up the Christmas Eve menu months in advance, negotiating with Pasquale to ensure the very best specimens were pre-selected and held in reserve. 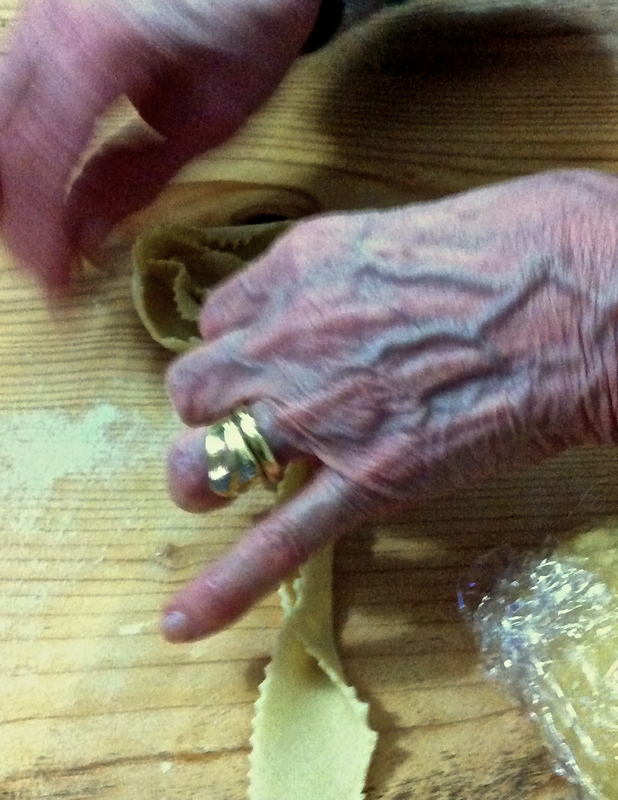 A practiced touch is required to make Christmas cartellate, but they’re well worth the effort. 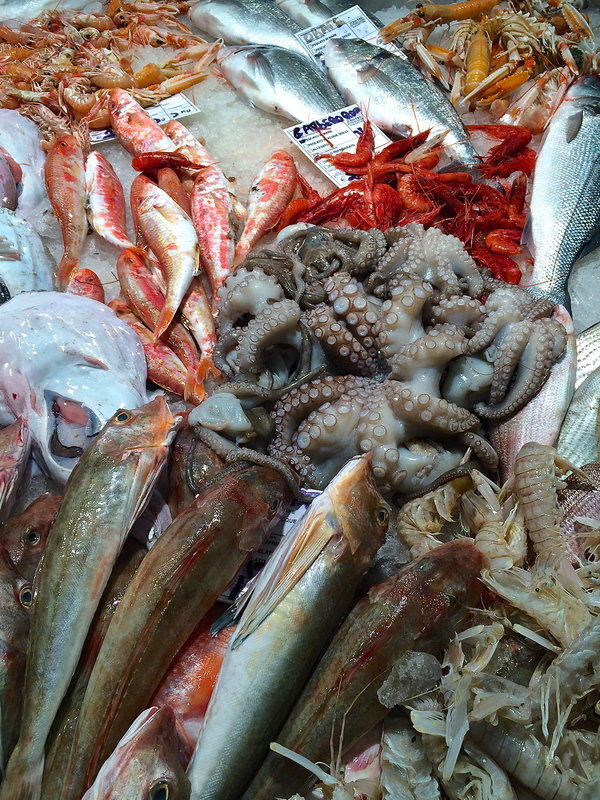 But for Southern Italians, fish, though important, is only a part of the feast. Most families include fritti, the addictive bites of cauliflower, artichokes, broccoli and mushrooms dipped in in an airy batter then deep-fried in olive oil. Insalata di Rinforzo, a briney, multi-colored antipasto salad with broccoli, cauliflower, roasted red peppers and capers, is another staple. There’s almost always some sort of torta salata, usually filled with Swiss chard, ricotta and eggs. And the pasta? There’s never just one on offer. For dessert, if it isn’t fried, it isn’t worth eating. Cartellate are the right choice, either your own or any of the dozens of plates your neighbors give you at this time of year. These seemingly delicate rosettes made from a sturdy dough of flour, white wine and olive oil are also fried in olive oil, then smothered with vino cotto, an intense, sticky reduction of the deep purple, primitivo wine from this region. 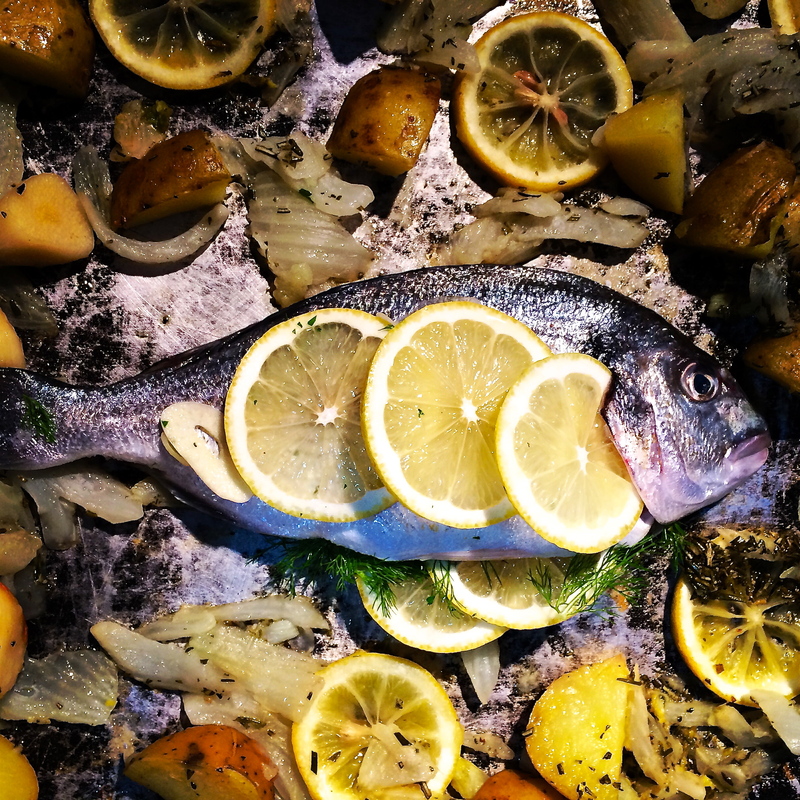 Orata, or gilt-head bream, is a beautiful fish when roasted, Puglises-style, over thinly-sliced potatoes with leccino olives and loads of extra virgin olive oil. Wherever we may be, we have long since adopted a seafood approach to the Christmas Eve vigil meal. But in our zeal to leave no apostle unrepresented, we tend to go a little overboard. From cozze gratinate (breaded, broiled mussels) to the torta della vigilia di Natale (Christmas Eve fish pie), we include old favorites but leave room every year for a little innovation. The idea is to stretch the experience over a l-o-n-g evening to make the transition to midnight mass just a little more palatable. The inevitable food coma that results makes for a drowsy religious experience, though, but it’s a small price to pay for all that fishy splendor. Zuppa di Pesce lends itself to customization. Go focused (mussels and clams) or go big (all the seafood you can think of). It’s a meal in a bowl. If you’re short on time or just prefer that the Christmas Day dinner serve as the showstopper, here’s an easy way to honor the spirit, if not the precise abundance, of a Seven or Thirteen Fish Vigil meal on December 24th. Behold the brilliance of Zuppa di Pesce, a beautiful bowl of flavor that everybody loves. Prep time is minimal and you can customize the seafood mix to accommodate specific requests. To make sure you are square with the sacraments, keep the seafood species to seven. But if you feel the need to overcompensate, expand your ingredients to thirteen to include the apostles and Jesus. That’s all you’ll need to usher in a joyous Yule. 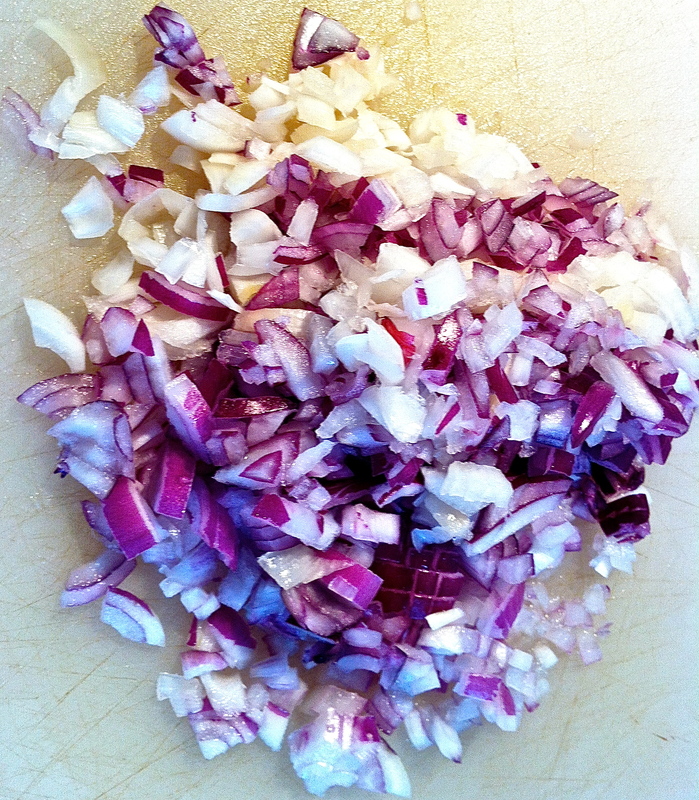 Chopped red onions add sweetness and depth to the tomato-scented broth. 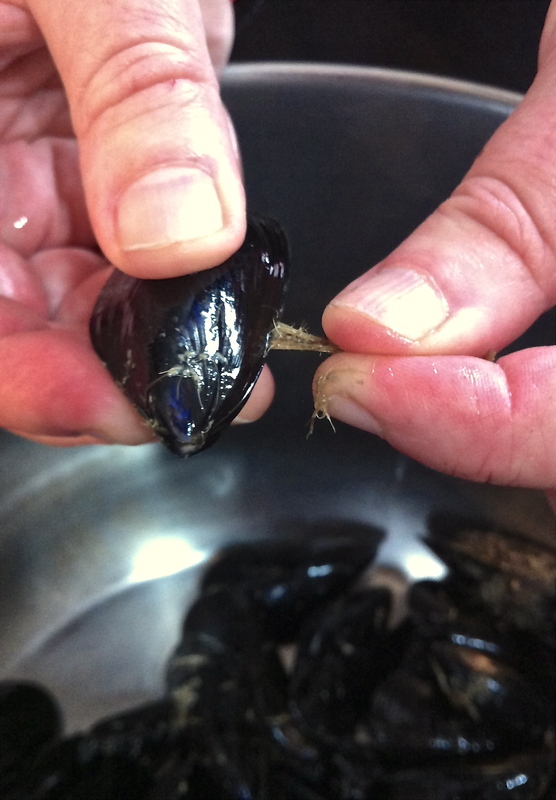 To de-beard mussels, pull the stringy “beard” of the mussel straight out from the hinged side until it pulls away from its attachment inside the shell. In a large soup pot (enameled cast iron pots like Le Creuset are great for this), heat the olive oil over medium heat until hot but not smoking. Add the onion and celery and sauté until the onion is translucent, about 6 to 8 minutes. Add the garlic and hot pepper flakes and sauté for a few more minutes. 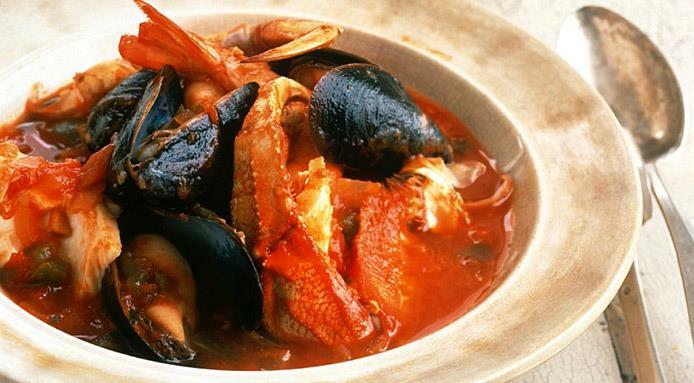 If you have any homemade tomato sauce, zuppa di pesce is a great place to use it. 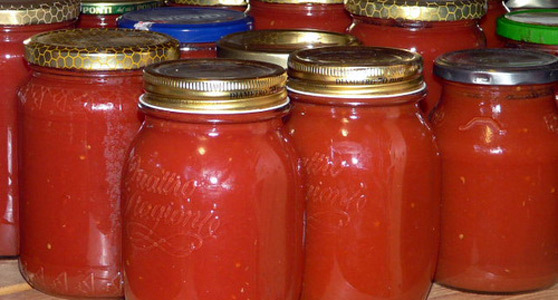 If not, canned tomatoes imported from Italy are perfectly acceptable. Add the pureed Italian tomatoes, wine and oregano and bring to a boil. Add the shellfish and fish, cover, and bring back to the boil. Uncover, reduce the heat to a simmer and cook, stirring a few times, until the shellfish have opened (about 5 to 6 minutes). Discard any shellfish that haven’t opened after this time. Toast the bread on a grill or in the oven. While still hot, rub both surfaces of the bread with a cut clove of garlic. To serve, lay a slice of bread in each soup bowl. Using a large spoon, lay equal portions of the seafood on the bread in each bowl. Ladle the tomato-y broth over the seafood and bread, sprinkle with the parsley and marjoram and serve right away. 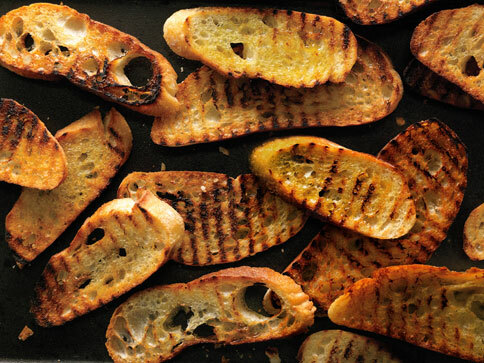 Grill the bread slices, then rub them with a cut clove of garlic. To guild the lily, drizzle them with extra virgin olive oil before placing them on the grill. Note: There are as many recipes for Zuppa di Pesce in Italy as there are nonne (grandmas). Feel free to tinker with this one, or ask your Italian relatives/neighbors for the secrets of their own favorite versions. For example, use fish heads and shrimp peelings to make a fish broth, which you can substitute for some of the wine and tomatoes if you like a brothier bowl of soup. Feel free to experiment with seafood, shellfish and herbs, too. Just make sure you enjoy every last slurp-y spoonful while you wait for Santa. Glad to have an update; hope you California food adventures prove to be as interesting.